Meghalaya has signed the Host City Contract with the Indian Olympic Association (IOA) for hosting the 39th National Games in 2022 on January 3, 2018. The tripartite contract was signed between the IOA, the Meghalaya State Olympic Association, and the state government. With this, Meghalaya will host the National Games 2022 coinciding with the 50th year of the creation of the state. For these games, the central government will provide 30% of the total budget for the National Games while the remaining 70% funds would have to be raised by the state government on its own. 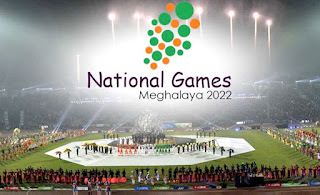 Meghalaya will be the 3rd northeastern state after Manipur and Assam hosted the National Games in 1999 and 2007, respectively. It had co-hosted the 2016 South Asian Games with its neighboring Assam. Approx, 14,450 athletes and officials are expected to visit the state during the 2022 National Games.